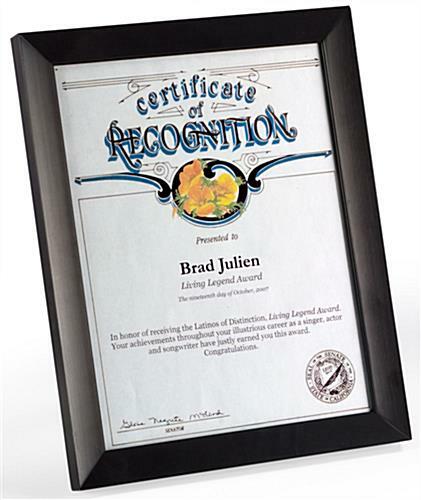 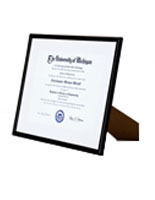 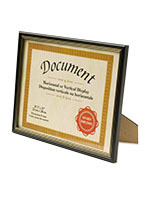 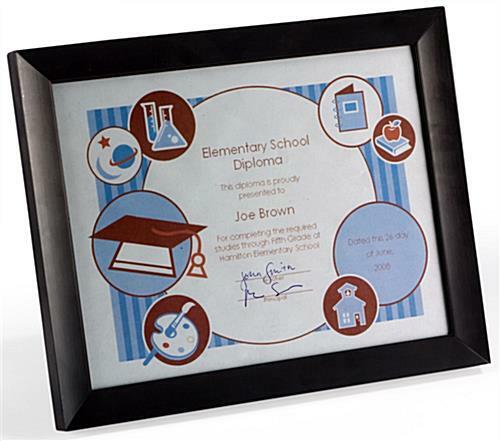 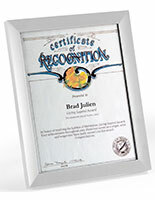 These certificate frames have a wide profile with a beveled design. 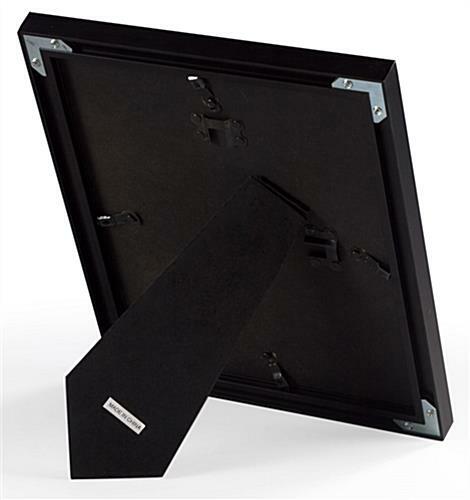 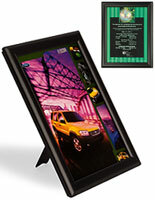 The black anodized finish is the standard of the industry and presents your documents in the best light. 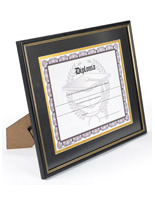 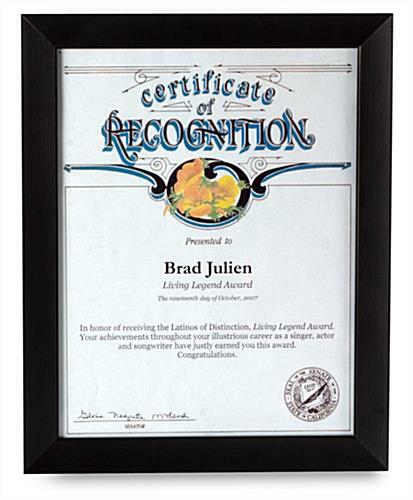 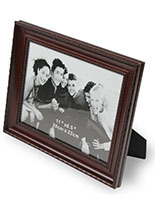 Like all certificate frames, these are sized to hold 8-1/2" x 11" inserts for wall hanging or tabletop placement. 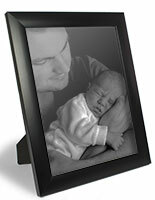 The frames can also be displayed in vertical or horizontal format.